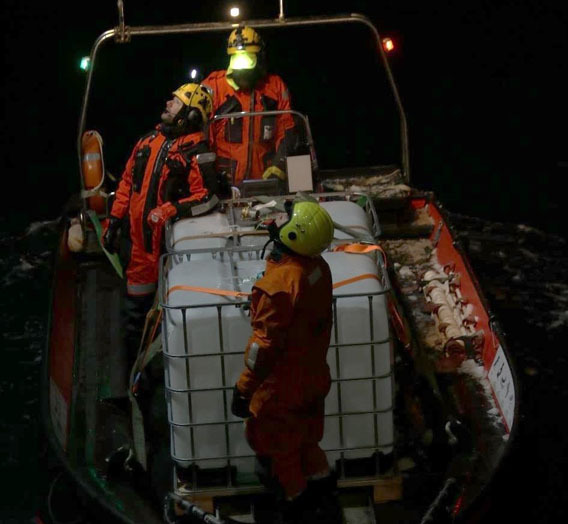 Good news from the shrimp trawler “Northguider” that ran aground close to the coast of Nordaustland in northern Hinlopen on 28 December, 2018: more than 300 tons of diesel were successfully recovered until Sunday morning in an operation that took several days. 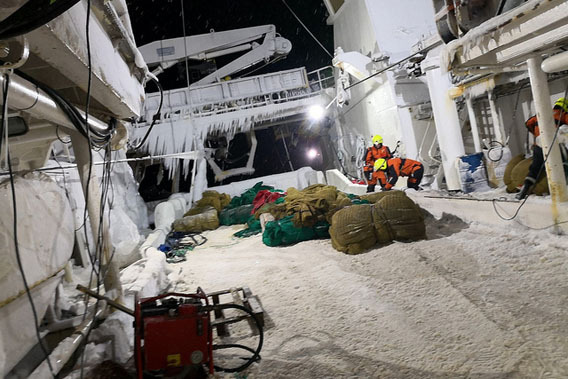 The work was carried out by the Dutch specialised company Ardent Global and the Norwegian coastguard, on the coastguard ship KV Svalbard, as the Norwegian broadcasting company NRK reports. 332 tons of marine diesel oil were secured on KV Svalbard until Sunday morning 5 a.m. Such a huge amount of fuel in a sensitive high arctic environment, during a season when the drift ice can approach quickly or the water can freeze locally at any time, could have created a major environmental disaster. Recovery work at the shrimp trawler Northguider. Photo: Kystverket/Küstenwache. The operation went faster than expected. The cold, but stable weather conditions of the weekend were an important part in the efficient process to secure the diesel comppletely, and so was the hard work of the Dutch specialists and the crew of the coast guard along with other authorities involved (Sysselmannen, Kystverket). More than 300 tons of diesel were secured until Sunday morning from the shrimp trawler Northguider, which is grounded in Hinlopen Strait. Photo: Kystverket/Küstenwache. Smaller amounts of lubrication oil and other chemicals are still being secured, as well as other loose items that may harm or litter the environment. Salvaging the ship itself is a totally different question. This will be a major operation. How and when this will be done is currently an open question. The owner of Northguider, Opilio AS, is responsible for coverering the costs.